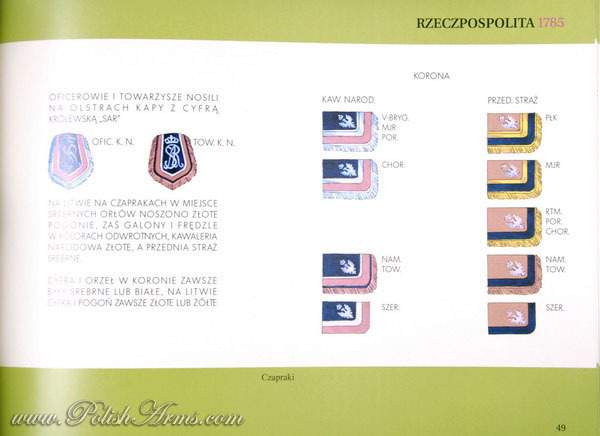 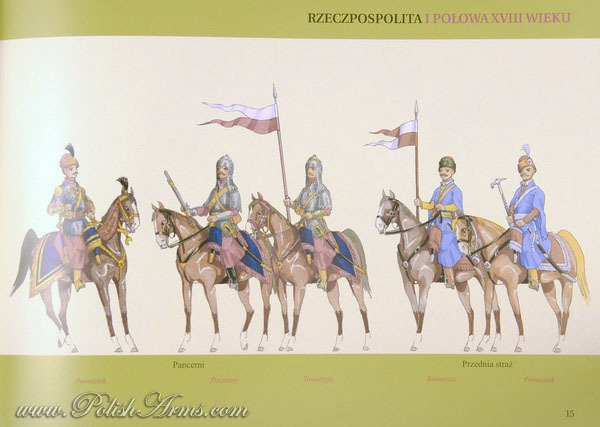 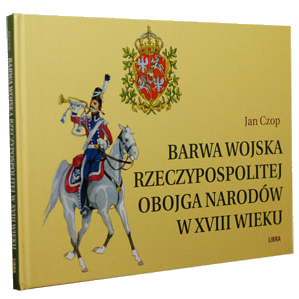 A very interesting and colorful book presenting the history of Polish and Lithuanian uniforms from the 18th century. 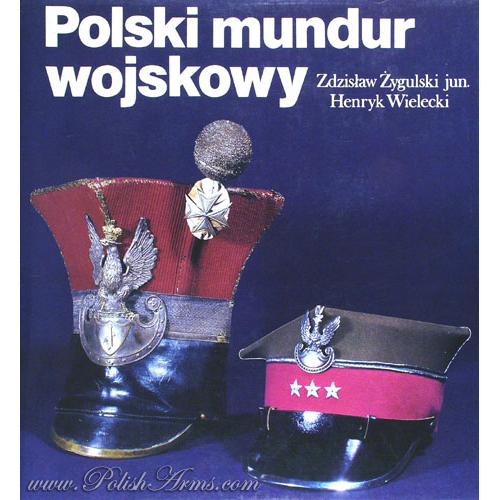 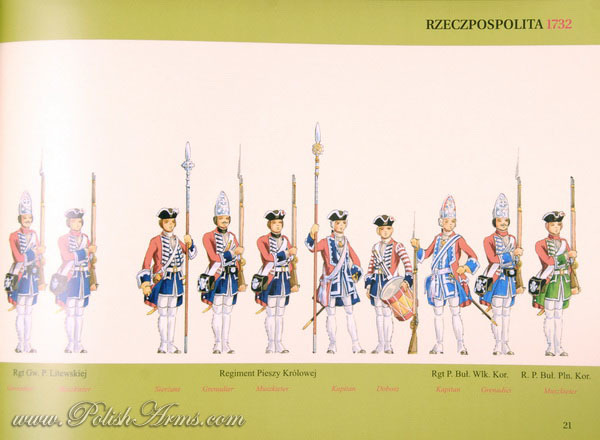 The book is illustrated with pictures that are giving the impression of a time-line through the pages, what helps reader to understand the development of Polish military attire through the century and in all kinds of troops. 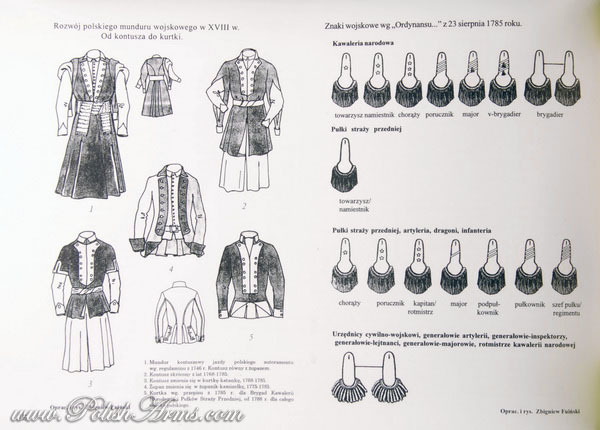 The pictures seems to be childish and very general at the first sight, but at the closer look they appear to be a well-thought-out attempt and show as much details as necessary. 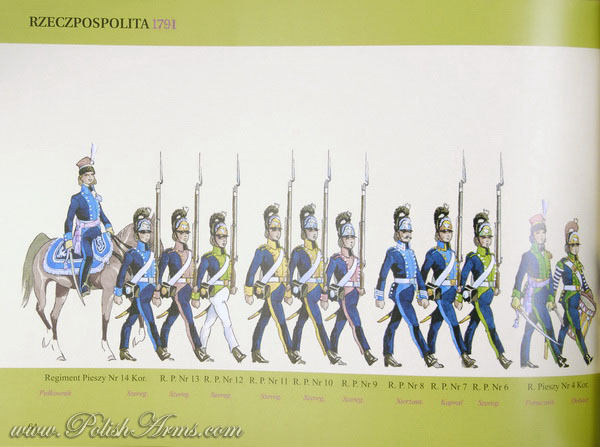 A very nicely done book for those who are interested in the history of European uniforms.